Food Monster – Download The Largest Vegan Food App! 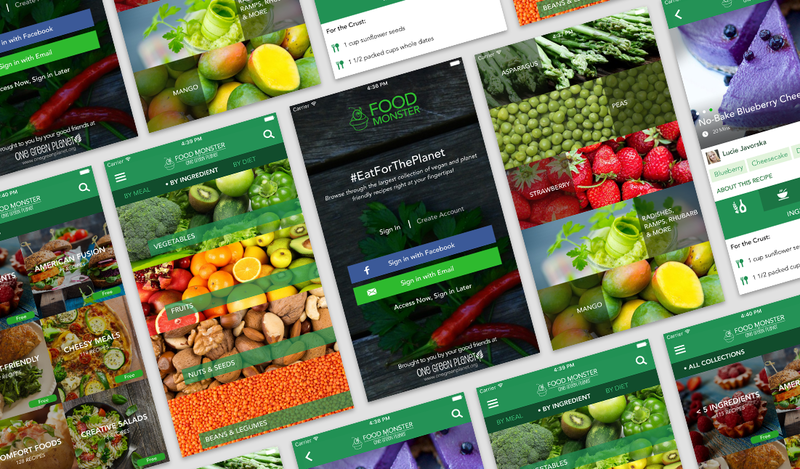 The biggest, baddest, yummiest vegan food app! 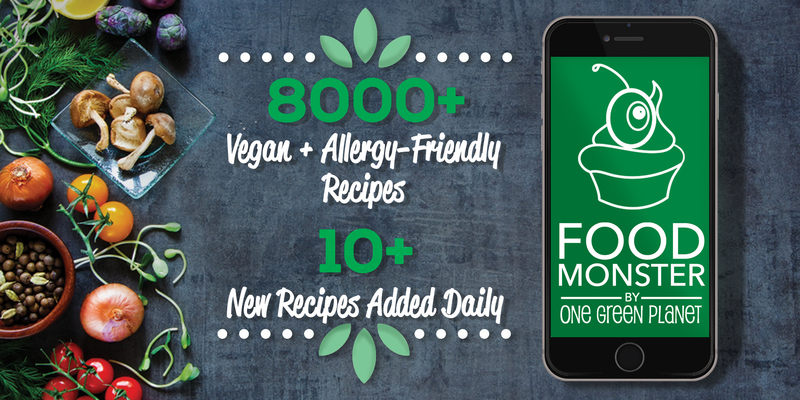 One Green Planet’s Food Monster app gives you instant access to vegan, meatless and dairy-free recipes that are sure to satisfy all taste buds! By SUBSCRIBING to our PAID monthly and yearly subscription options you can get access to 10+ new recipes DAILY (that’s an additional 3,000 new recipes every year!) but you can also unlock our archive of over 8,000 recipes searchable via 600+ category filters! Instant access to hundreds recipes with step-by-step instructions + in-app subscription plans for unlimited access to 8,000+ recipes. 10+ new recipes added daily (5 days a week!). SCORE! Quick sign in through Facebook or email – takes less than 30 seconds to sign up! Ability to bookmark recipes by meal and diet type for easy access. In addition, bookmarked recipes can be pinned to the top and favorited! Share recipes with friends via email and social media. Browse recipes by diet, cuisine, meal type, occasion, ingredient, special themes, season, and cooking method. Explore recipes by popular themes like dairy-free cheeses, raw vegan desserts, veggie burgers, as well as seasonal favorites. 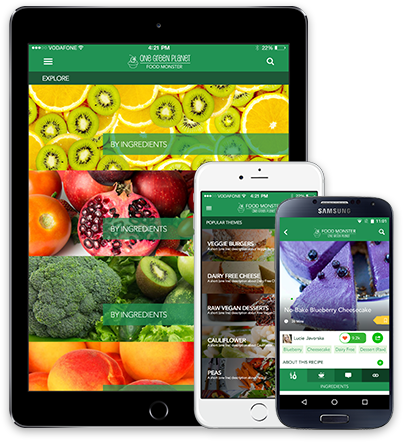 Access recipe “Features” that make cooking choices easy by showcasing the greatest and most popular recipes, carefully handpicked by One Green Planet’s editorial team for every single food holiday, food type and theme. Discover specially curated “Collections” like Decadent Desserts, American Fusion, Nutrient-Dense, Umami, etc. Join the Food Monster community by participating in endless discussions, sharing tips and asking questions about your favorite recipes. Scroll through high-definition food photos you will drool over. Add personalized notes to each recipe!